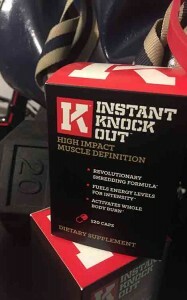 Instant Knockout is the latest high impact fat burner to be making waves in the supplement community. The clear market message is that of a no-nonsense product for people who want to get ripped the natural way. Even the bottle packs a punch! The red pills in a transparent fist-shaped bottle certainly look the part, and I was very pleased to see that the product that was delivered to my door looked precisely the same as that advertised on the company site. 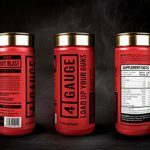 Aesthetics aside, a fat-burner is a blend of ingredients, and it’s those that are of real importance to the customer who wants to add a powerful weapon to their body-sculpting arsenal. With 120 caps per bottle of Instant Knockout, the numbers already look in favour of a good fight. I think a 4 month cycle is perfect as well, which the 3 bottle special offer (actually 4 bottles) gives you. 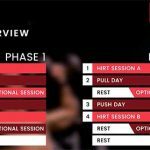 You can then take a couple of weeks off before repeating the cycle. Just follow the link below. 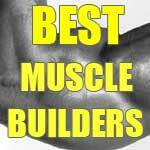 Burning fat and developing lean, defined muscle are the two basic processes involved with building a health and good looking physique. Instant Knockout has actually been formulated to help with both aspects, though fat-burning is its principal mechanism of action. 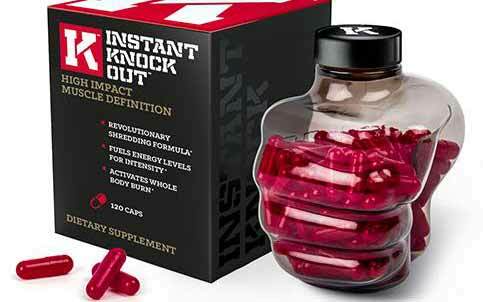 Note: Although this product is primarily aimed towards people who workout regularly, the manufacturers claim that Instant Knockout will still be of benefit to those who train less often. 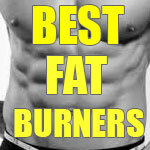 It’s true that a fat-burner like this one should burn extra calories regardless of your activity level but the best results will happen for people that exercise often. How Does It Provide These Benefits? As with most training and dietary supplements, the proof is in the recipe. The efficacy of that recipe is mostly dependent on two things: types of ingredient; and dosage. Many of today’s supplements contain very good ingredients but at such ineffective inclusion rates that it renders it useless. This means they are just including it for show, and increasing their profit margins. Green Tea Extract (500mg): A very effective dose of green tea extract that you don’t often see in higher-priced fat-burners. GTE reduces fat by increasing thermogenesis (core temperature effect) and it raises the availability of stored fat as a fuel source for the body. It’s also a powerful triglyceride fat reducing antioxidant. Cayenne Pepper (100mg): The heat from the cayenne spice also stokes a thermogenic and metabolic response in our body. The result is more fat burned. Caffeine Anhydrous (300mg): Another great dose of pure caffeine. Synergistic with every other ingredient, caffeine provides the stimulant boost for some additional energy. It also has a thermogenic fat-burning action of its own, as well as sharpening focus and motivation for the whole day. Glucomannan (1800mg): The appetite suppressing ingredient gives a comfortable feeling of fullness after meals so there’s no additional junk food snacking. Green Coffee (100mg): Raw, unroasted coffee beans. The high content of chlorogenic acid in green coffee can reduce liver glucose levels and prevent fat from being absorbed. Piperine (10mg): This black pepper extract increases the absorption rate of all the other ingredients. A tiny but extremely effective inclusion. 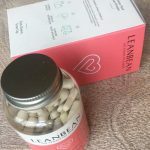 Zinc, Chromium, B6 and B12: The vitamin and mineral support in the blend is arguably a mandatory base for glucose and insulin balance, metabolism maintenance and a whole host of vital bodily processes it would take writing a book to explain. Due to the caffeine content specifically, you should not take this supplement within 5 hours of going to bed. There should not be any negative side effects associated with taking this supplement. People not used to the caffeine kick might need a couple of days adjustment, but it’s nothing uncomfortable. As with all training supplements, anyone with a medical condition, or pregnant/nursing women should consult their doctor before taking anything they are unsure about. As mentioned below, the best deal is 4 months for the price of 3, but the product is available in double or single packages. Delivery is free to US and UK customers, and to anyone in the world that takes the 4 bottle offer. I’m really impressed with the all round strength of this product. The fat-burning action coupled with the comfortable appetite suppressant is a very effective combination. It only took a few days of use before I could feel a consistent increase in energy as well. I would advise anyone to go easy on the coffee though, otherwise the two sources of caffeine together might make you a bit on edge. If you would like to try this product for yourself, there are several purchasing options and special offers you can avail of. Personally, I took two bottles to try, but the ‘Buy 3 and get a 4th FREE’ offer is by far the best long-term. You get free worldwide delivery with that, a money-back guarantee and a free t-shirt. Sixteen weeks is a good run with Instant Knockout, then I would take a couple weeks off before repeating the cycle.